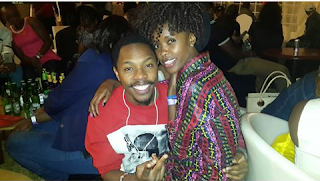 During the recently held Luo festival, Churchill show comedian sleepy david pulled what looked like a proposal to papa shirandula's Jacky Vike. The comedian has now come out to debunk the claims, claiming he and the Papa Shirandula star are just great friends. Here is what he posted on his instagram page.